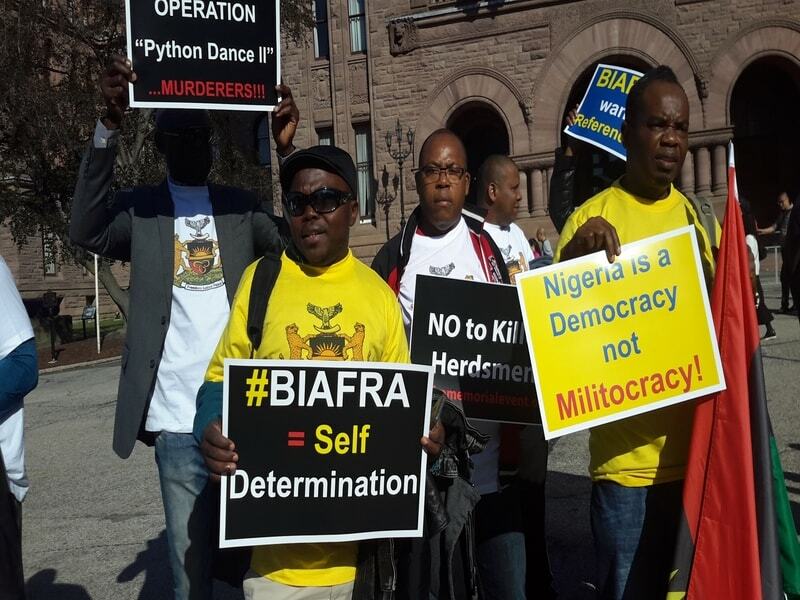 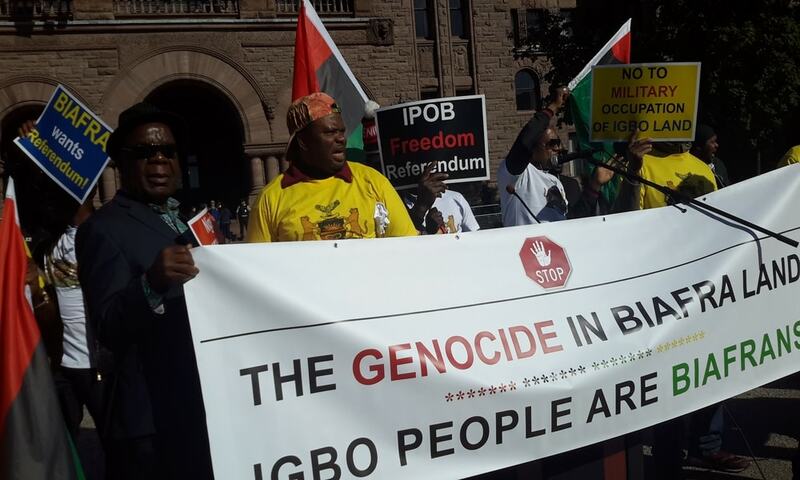 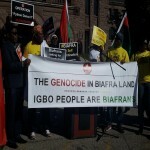 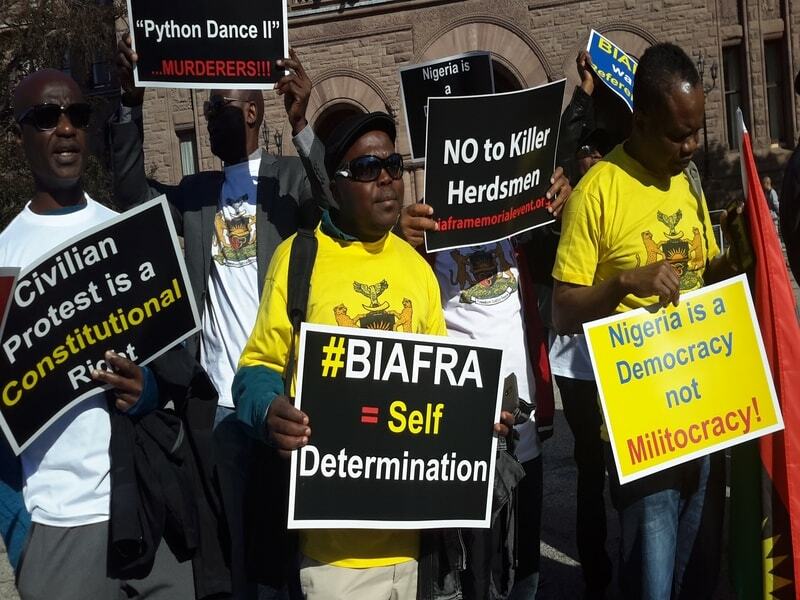 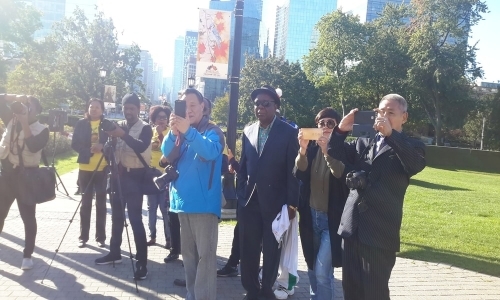 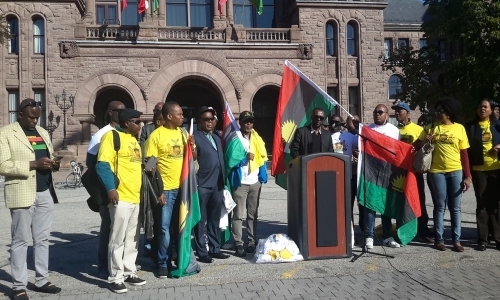 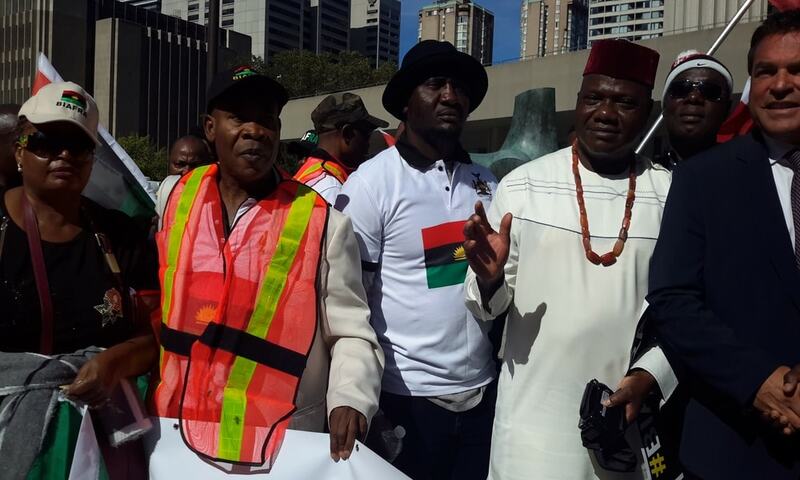 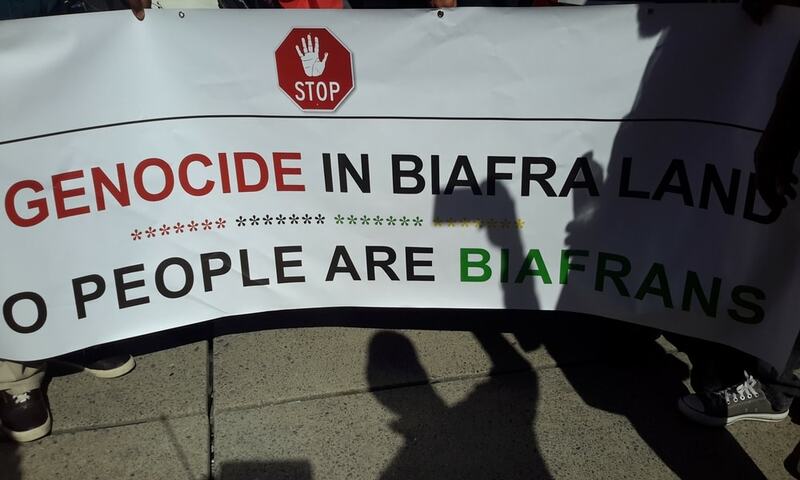 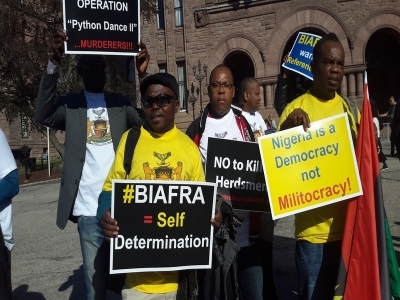 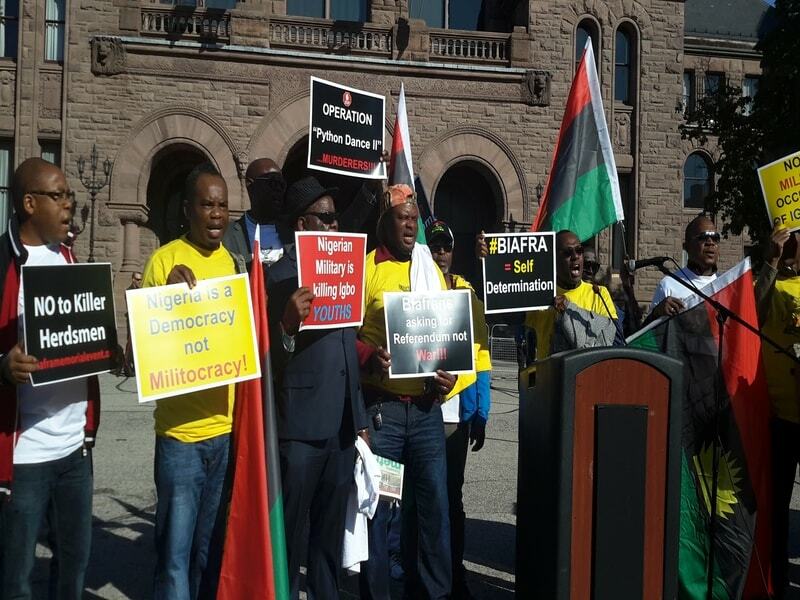 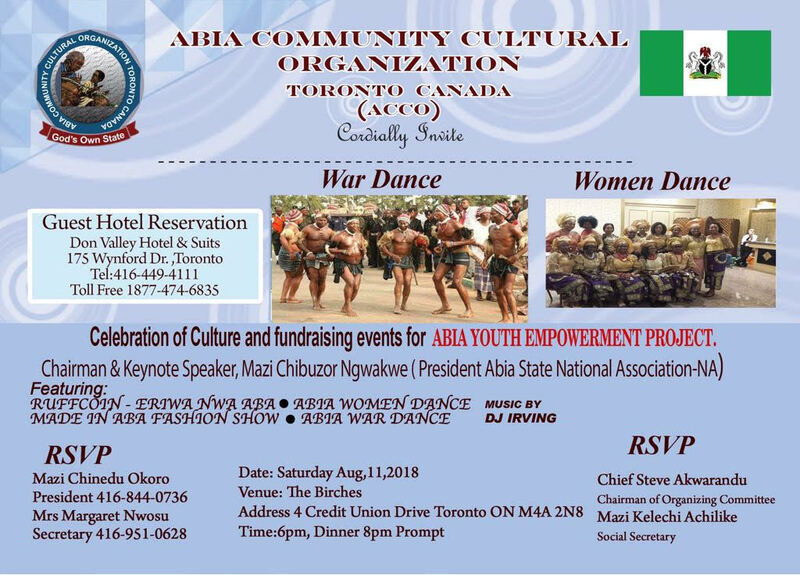 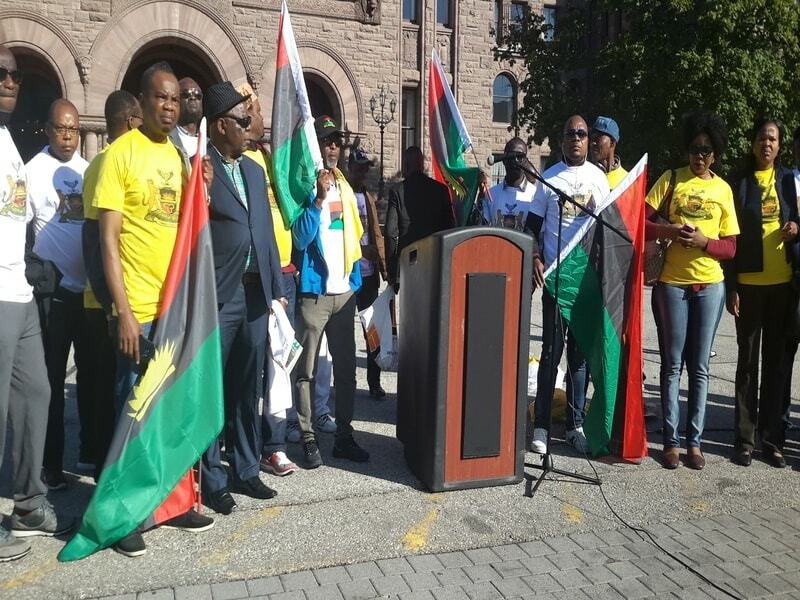 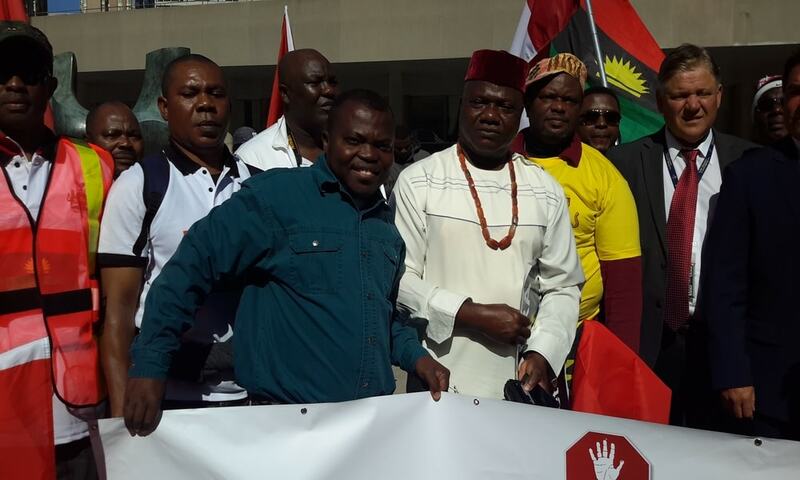 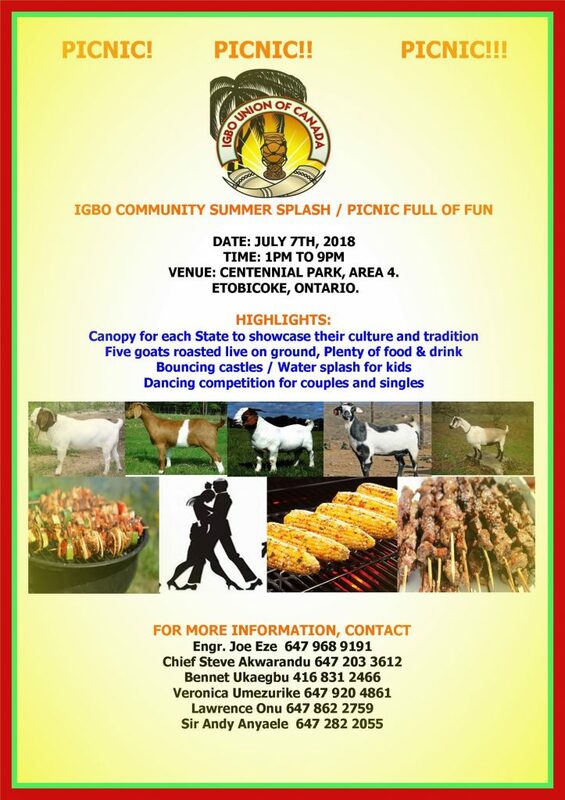 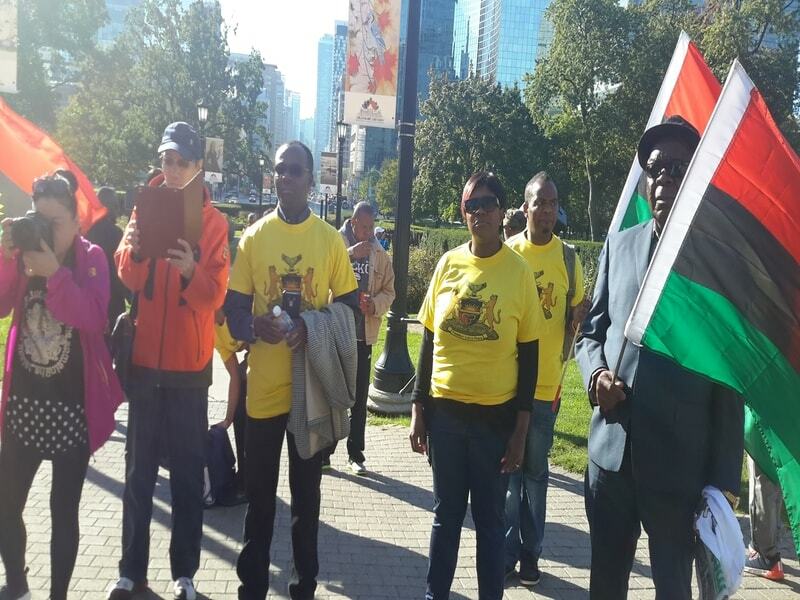 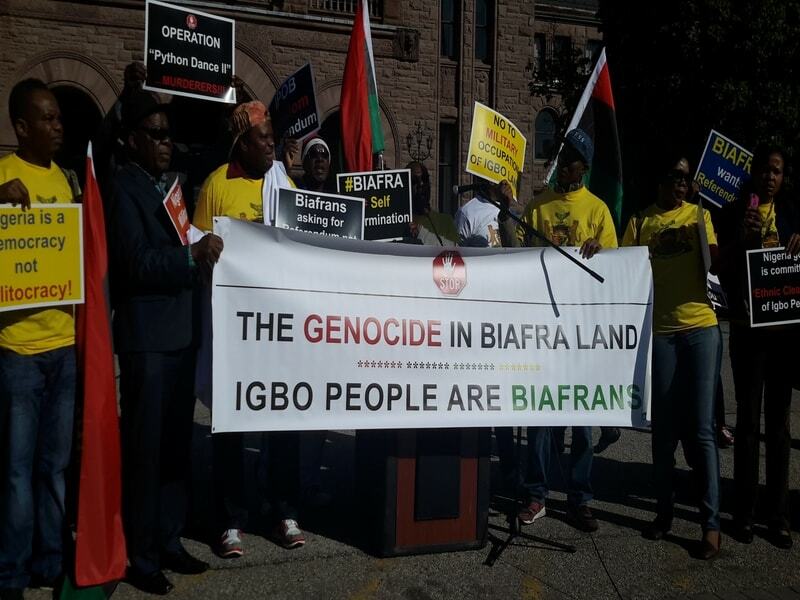 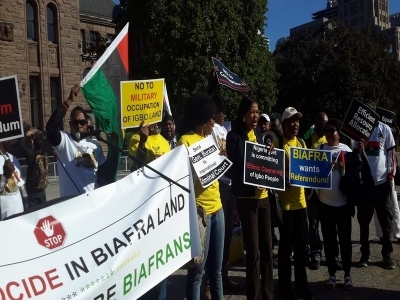 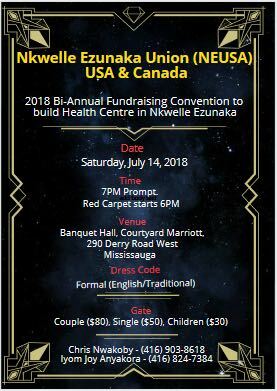 Igbos in Toronto Canada Gathered in numbers to send strong message to Nigeria to Stop the Killings in Igbo Land. 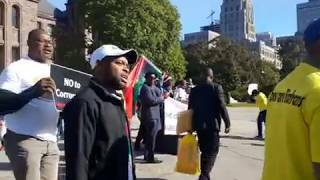 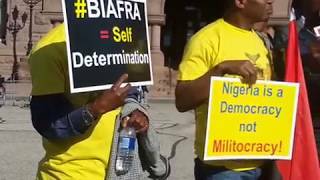 The Biafrans in Toronto Canada planned and executed a united Biafra protest today, October 2nd, 2017 to send a strong message to Nigerian government to stop the killing of Biafrans in the South Eastern Nigeria. 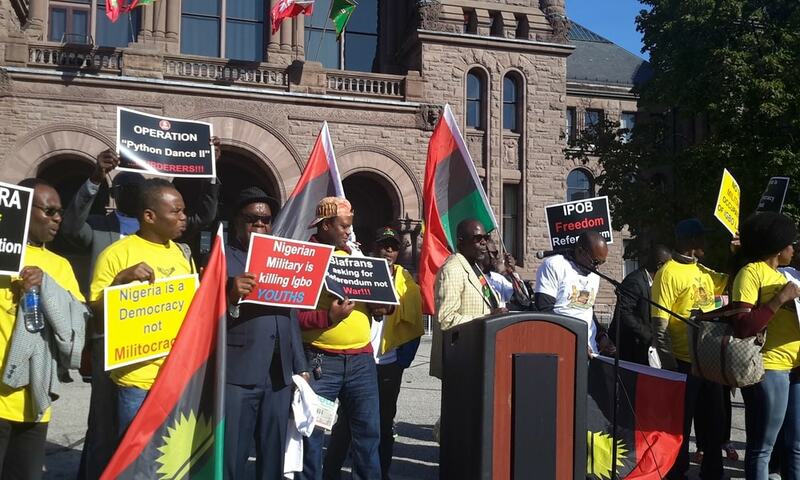 This protest was well attended. 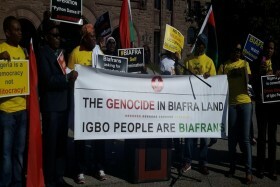 The protest was planned in two stages. The first 2 hour protest was held in front of the Parliament building at Queens Park in the heart of the busiest city of Canada called Toronto. 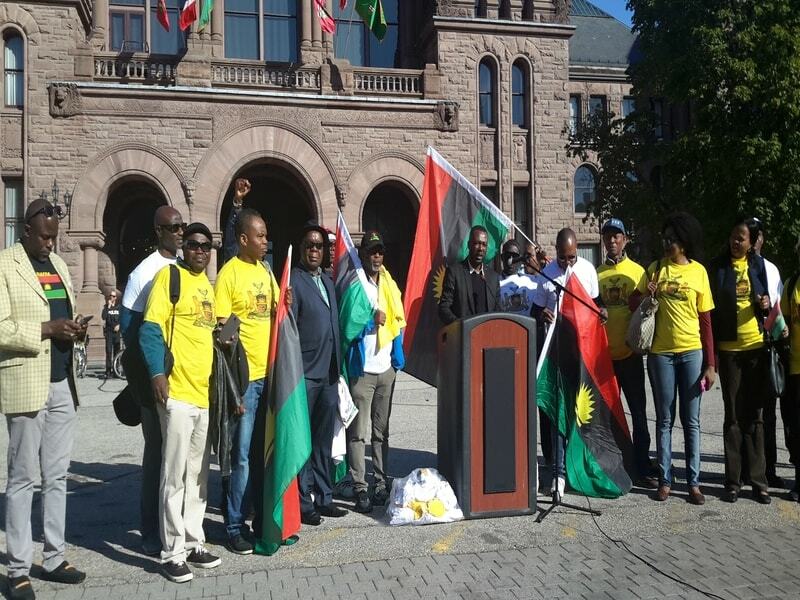 And the second stage was held in front of City Hall (City of Toronto’s Mayor office). 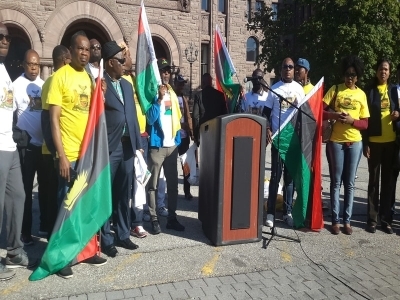 As shown in the pictures and video, government officials voiced their condemnation of the killings and urged Nigerian government to stop the senseless killings of the people of Biafra. 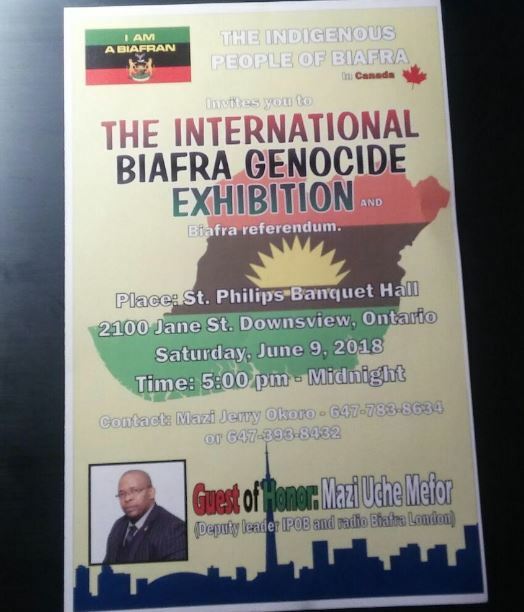 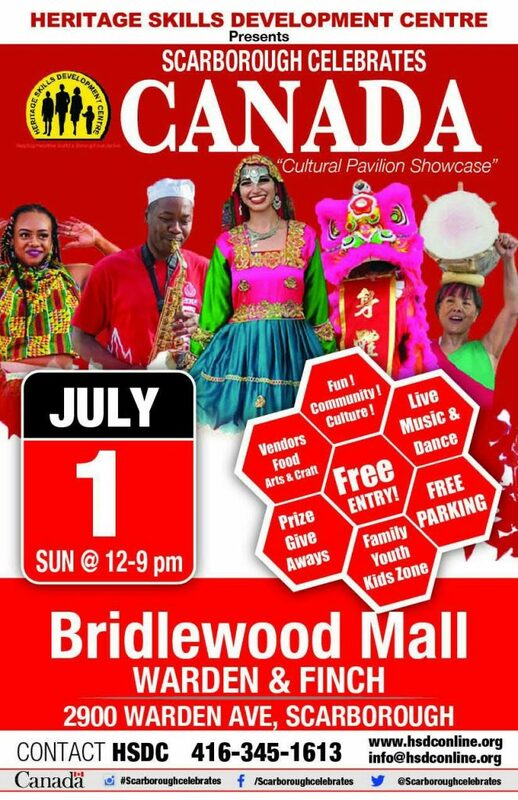 Many Canadians watched and listened in awe what is happening to the people on Biafra in Africa. 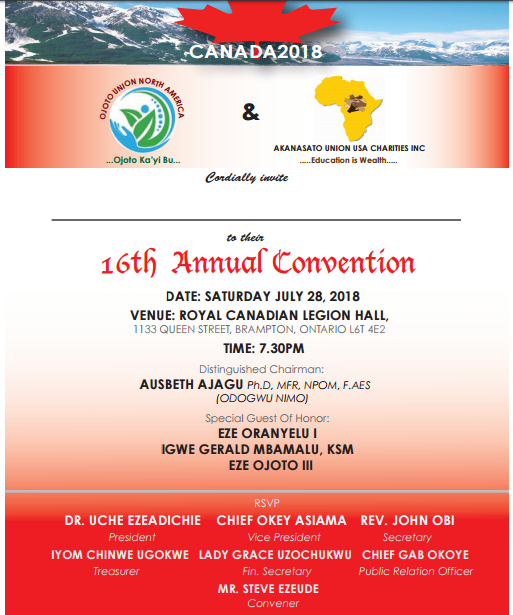 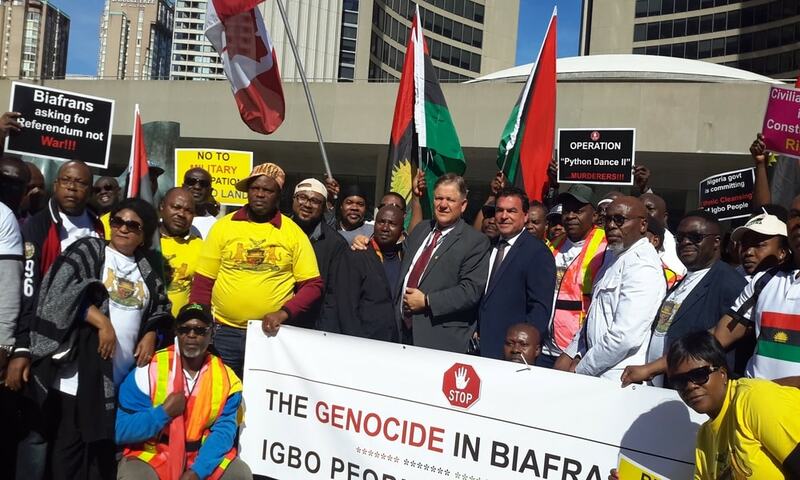 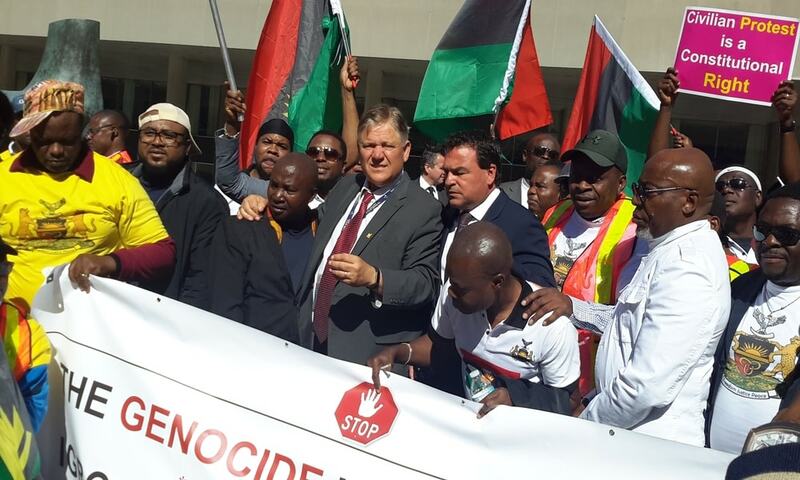 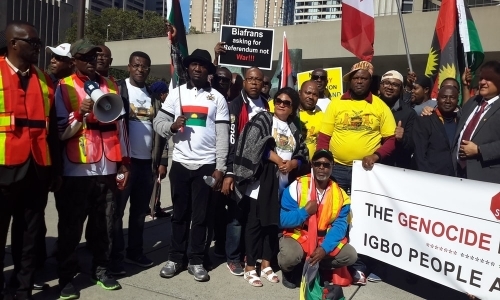 One Canadian who eventually carried the Biafran protest flag told Igbo union news media that he was surprised at what is happening to the people of Biafra. 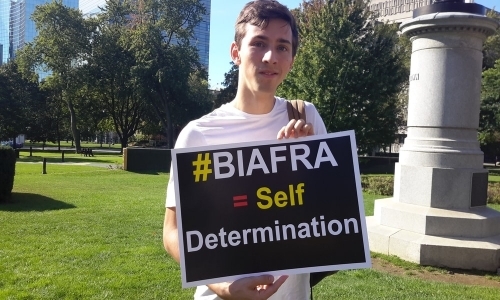 He shared that he is from Quebec and he is familiar with self-determination. 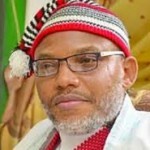 But when he learned that over one million Igbos were killed between 1967-1970, he decided to carry the flag to support the Biafran freedom fight. 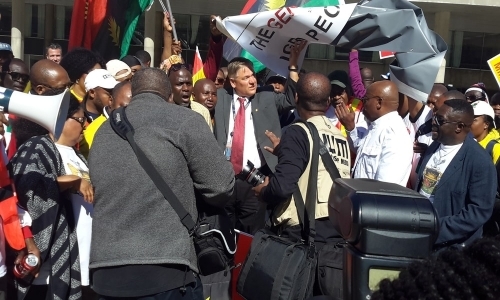 The Biafrans that attended the protest were full of energy and passion. You could see the anger written over their faces. 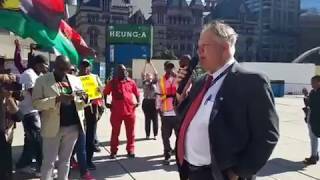 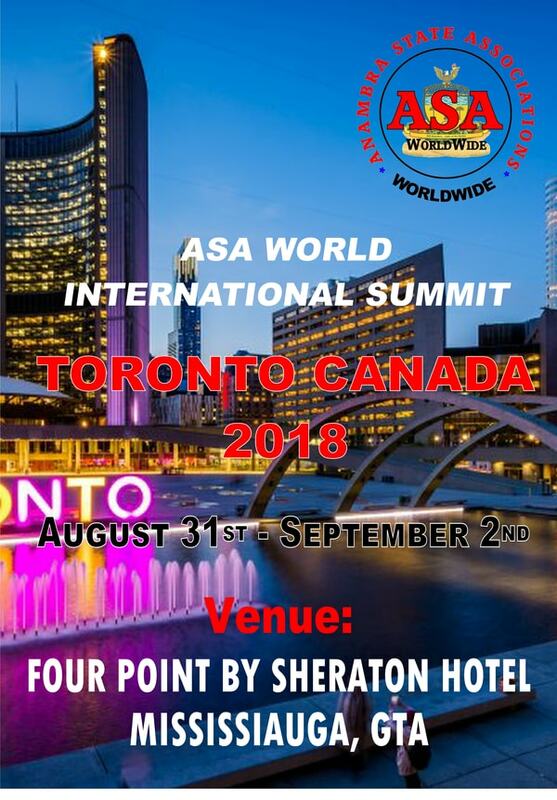 The fervent hope is that the Canadian government will listen to the plight of Biafrans and call Nigerian government to condemn the killings in Biafra land. 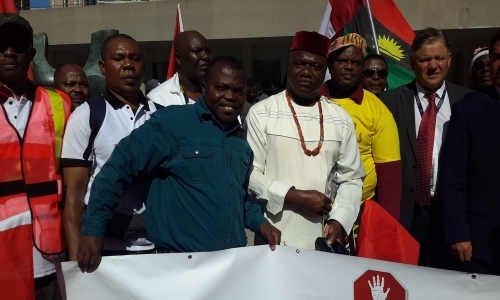 The government officials that addressed the croud promised to contact the mister of external affairs for immediate action.